Caymin and Péist, the young dragonmage and dragon who helped to end the last dragon war, have returned from that conflict longing only for peace. But peace is not to be found. 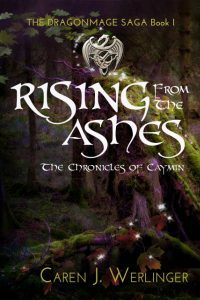 Éire is on the brink of being torn asunder as Christians battle pagans, raiders from the north attack the coast, and their enemies—the power-hungry dragonmage and dragon they fought in the otherworld—have escaped from their prison. 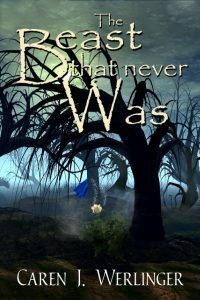 Caymin and Péist are the only ones who can thwart them but, in order to do so, they’ll have to do the unthinkable—bring all of the dragons and their mages back to this realm. The dragons can only be summoned and controlled by one who holds the Méarógfola—the Bloodstone. The problem is, the Bloodstone hasn’t been seen since it was stolen a thousand winters ago. 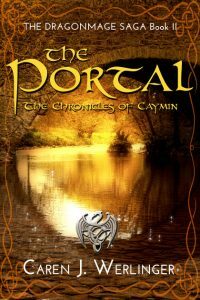 In a race through time, Caymin and Péist will have to go back through the Portal, back a thousand winters, back to set in motion everything that must unfold as it was meant to. Finding the Méarógfola is only the beginning of their challenges. Old factions among the dragons make them as difficult to control as the human clans. 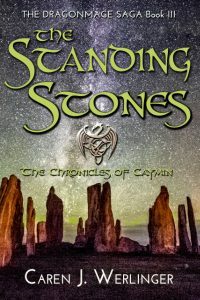 Destroying the Bloodstone is the only way to end this once and for all, but there are those who will do anything, anything, to get their hands on it.